H. Maxwell Joseph was born on 16 January 1982, in New York City, USA, and is a television host and filmmaker, best known for being the host of the television show “Catfish: The TV Show”. He also helped make the film “We Are Your Friends” which stars Zac Efron. All of his endeavors have helped put his net worth to where it is today. 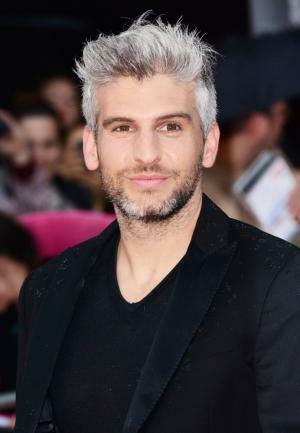 How rich is Max Joseph? As of mid-2016, sources estimate a net worth that is at $250,000, mostly earned through his career as a filmmaker and television host. Aside from films, he’s also worked on commercials and publications, and has received several nominations and awards. As he continues his career his wealth will likely increase. Max found his breakthrough when he became part of the MTV reality television series “Catfish” in 2012; he joined the show with his best friend Nev Schulman and worked more as an on-screen cameraman. The show was about the duo becoming detectives for online dating, dealing with online-only romantic relationships in the hopes of tracking down “Catfishes”, a term they use for someone who uses social media as a false identity specifically for romantic relationships. The show was inspired by a documentary made by Nev Schulman to try and find out the true identity of the woman he built an online romantic relationship with. The documentary had great reviews and led to MTV contracting the duo, although the show has since received its share of criticism, especially since some believe that the episodes they produce are fake; however, MTV has confirmed that most of the research they do is their own and are all true. After a few seasons, Joseph took a break to pursue his passion of filmmaking. Soon Max would start working on commercials for Starbucks, Nike, Pepsi and the Toyota Prius. He also worked for GOOD Magazine as the Creative Director of Video. Eventually he was given a chance to make his first feature film entitled “We Are Your Friends”, which was released in 2015. Additionally he also directed the documentary “12 Years of DFA: Too Old To Be New, Too New To Be Classic”. Joseph has now produced, written or directed over 64 short films, which include advertising and web videos. In 2014, he was nominated a Teen Choice Award for being a part of “Catfish”, as he eventually returned to “Catfish” after a few film projects and is now part of their fifth season, which he talks about via social media. For his personal life, Max is married Priscilla Joseph, though not many details are available about their relationship. They do however show a bit of information via Priscilla’s Instagram account. She’s a model, photographer and has her own brand entitled Majo Brazil. Max also speaks fluent Portuguese and promotes his work through a blog, which showcases a bit of his filmmaking skills. Max is also very popular online, having over 430,000 followers on Twitter. He even has more followers on Instagram at over 846,000.